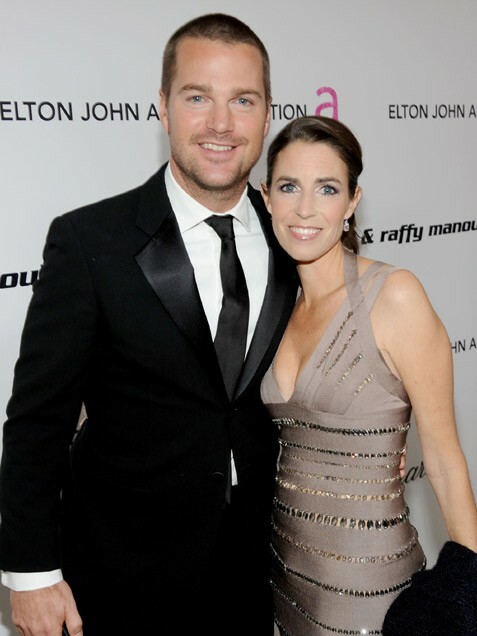 Chris O’Donnell, 41, became a Hollywood heartthrob in his early 20s -- oh, those blue eyes! -- but even though he earned hordes of swooning female fans, the actor only had eyes for one woman: Caroline Fentress, 38, the sister of a college friend. "The first time I kissed her, I was like, 'Wow,'" Chris told Redbook. The pair (pictured at an Oscars viewing party in West Hollywood on Feb. 27) married in 1997 and went on to have five children together (impressive!). And the actor says he knew they were destined to be together. "I would think to myself, 'Could I imagine not marrying her?' And there was just no way."